Quality arena footing is essential to ensure the safety, health and performance of horse and rider, not just during competition, but also during training at home. The training and competition environment can greatly influence a horse’s soundness and resultant career longevity. Arena surfaces can be subject to compaction, drainage issues, surface irregularities and the influences of climate and temperature. A surface that is too hard can lead to bone, joint and hoof injuries. A surface that is too soft and yielding can lead to soft tissue injuries. An irregular surface can not only interfere with a horse’s performance due to tentativeness about the footing but also cause injury due to unexpected transition between hard and soft, lumpy and firm. The best way to ameliorate some of these concerns is to build a well-engineered arena. This is particularly relevant to the high-impact sport of jumping. A jumping horse needs impact-dampening upon landing but still must have sufficient traction for takeoff. 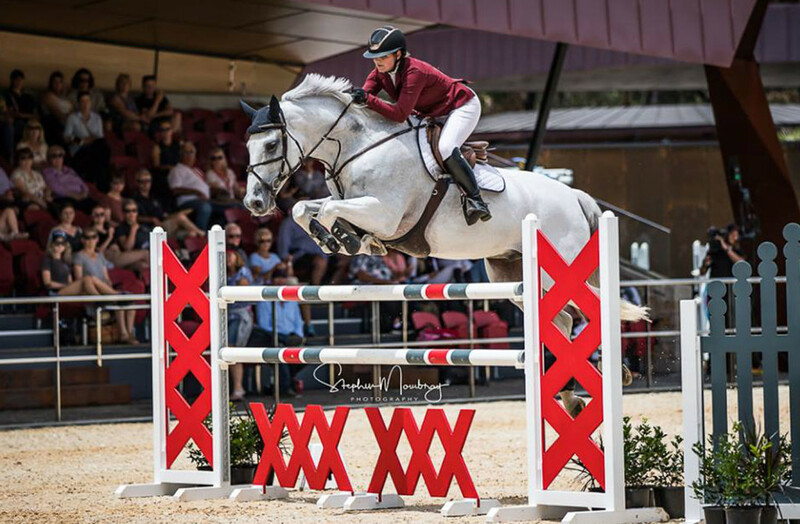 Key competition venues in Australia are upgrading to top performance arena surfaces in line with the quality we are now seeing at international venues. 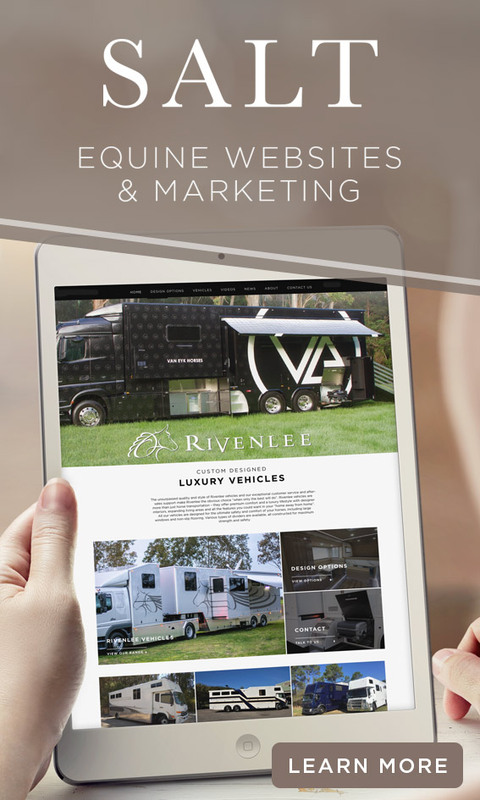 This allows our riders and horses to become familiar with surfaces they will encounter when competing overseas, easing the transition to international competition and minimising acclimatisation times. If a horse competes on a surface with certain properties, the training preparation will ideally involve the same type of surface to allow for adaptation. Prior training on surfaces that the horse will use at competition will allow the horse to experience the surface properties at a reduced work intensity, rather than having to do this while also being asked to perform to its optimum level during competition. Not only does training on top quality surfaces at home improve performance out at competition, but it is also essential for the longevity of the horse as they obviously spend the greater proportion of their ridden hours away from the competition environment. Australia certainly has some challenging climatic conditions, with weather often fluctuating between extremes. Torrential rain and extremely hot and dry conditions are not uncommon. Inside or out, weather significantly affects a surface’s consistency and behaviour and an inconsistent surface affects a horse’s stability and levels of fatigue. 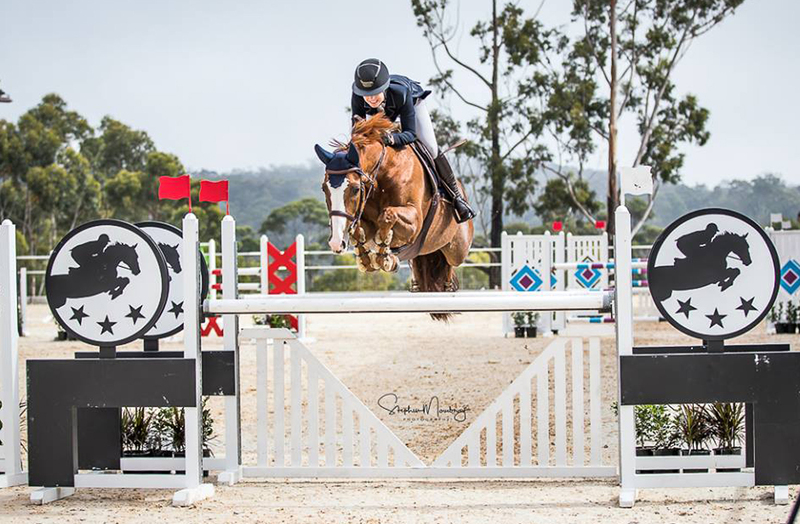 We recently witnessed this at the Willinga Park Jumping Grand Final in NSW, where more than 80mm of rain fell overnight before the final day of the event. With over 30 years of experience and over 6,000 installed arenas worldwide, OTTO Sport is one of the international leading experts in supplying equestrian surface systems. OTTO Sport deliver arenas designed to positively affect horses, not just while they compete, but also during training at home. 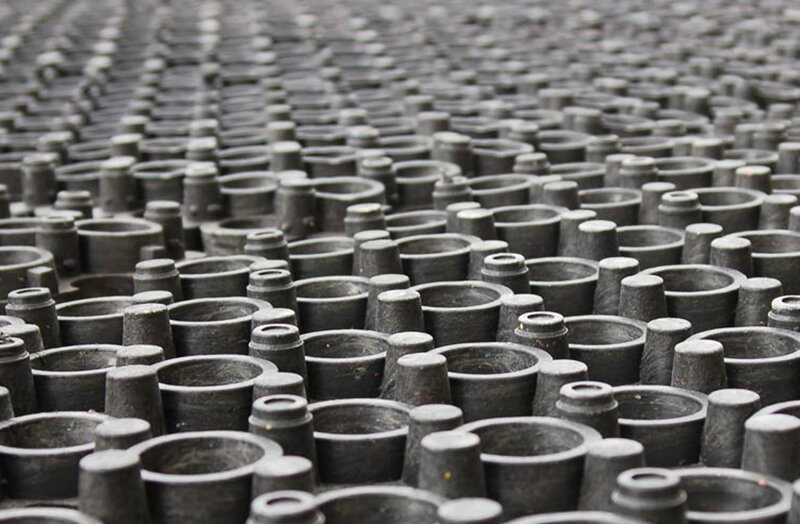 They provide cost-effective, customised solutions and individually adapt the footing mixture to find the appropriate blend for every equestrian arena to deliver high-performance, durable footing. The OTTO Perforated Mat is an arena base system that offers drainage, stability, shock absorption, and arena longevity. The system creates a true all-weather arena that many riders need to keep up hectic training schedules. The OTTO Perforated Mat is a product made of resilient material, specially designed for equestrian sports. It is used in equestrian arenas and paddocks, set underneath the footing to provide maximum drainage, water conservation, concussion mitigation and stability for horse and rider. OTTO Perforated Mats increase the stability of the footing with a system of traction-knobs on the upper side of the mat. The traction-knobs are set at differing heights to maximise the stability. This guarantees a secure surface, preventing horses from slipping – a clear advantage during sharp turns. OTTO Sport Australia have delivered numerous quality arenas for both home facilities and competition venues Australia-wide. 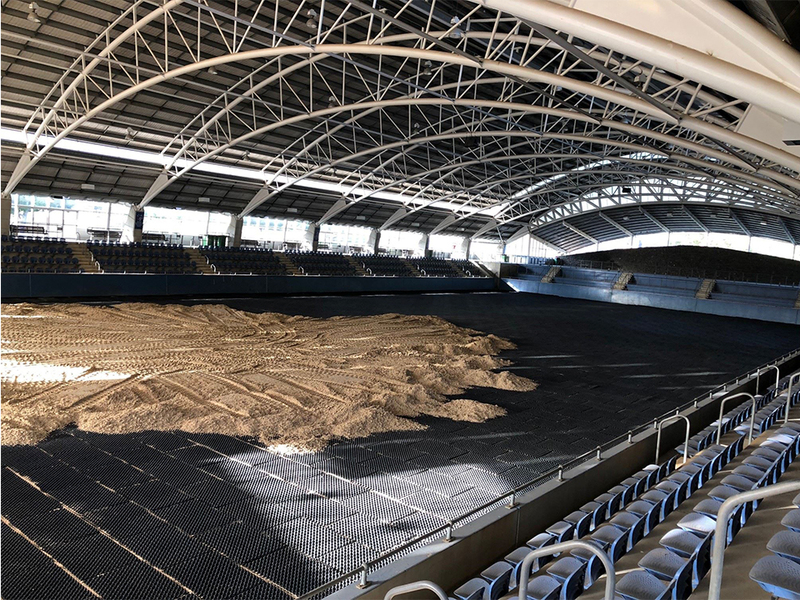 Recent installations include the new indoor arena and outdoor warmup arena at the Sydney International Equestrian Centre (SIEC) and well a the Grand Prix Arena at Willinga Park. The OTTO Ebb&Flow System, such as installed at Willinga Park, is the perfect solution for anyone who is looking for maximum convenience in watering their arena. OTTO Ebb&Flow waters the arena from below, therefore, horses can stay on the arena around the clock. The water level can be adjusted by the centimeter by means of an electronic control system. OTTO Sport International have provided surfaces for some of the sport’s most prestigious competitions including the 2016 Rio de Janeiro Olympics and the 2010 World Equestrian Games in Lexington, Kentucky. Contact Stephen and Niki Dingwall at BSMSport Equestrian for all enquiries about OTTO Sport Arena Surfaces in Australia and to see how an OTTO surface can benefit you.